Just about everyone wants to save some cash at the grocery store and at restaurants. 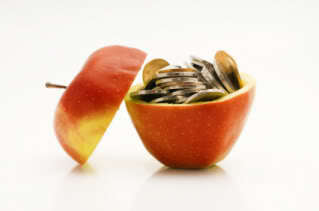 Given how much time we spend in both places, food costs account for a major chunk of our disposable income every month. There are plenty of simple ways to stretch your food dollar, however, and they are not even difficult to do. Let us take a look at a few tips to save money on your food bills. For decades, grocery stores have enticed shoppers by offering discounts on popular items. Then manufacturers got into the game by offering branded coupons that are distributed in flyers and now online. Although some people take clipping coupons to the extreme, saving money does not have to be that much work. By checking ads, looking for circulars on the right days and being smart about which coupons you use, you can really cut the bottom line at checkout. Find out which stores in your area offer coupon doubling for even bigger savings. Remember, having a coupon is not a good reason to buy something you normally would not. Stick with what is most popular in your household. There is a reason newspaper ads focused on grocery stores come out on Wednesday. That is the day most stores begin their new sales, and it also is a great day to go shopping. The stores will have just restocked overnight in preparation for the new discounts, so by shopping on that day, you will have the best selection and be able to use your coupons to the maximum effectiveness. Nothing is more frustrating than have a big discount on an item only to find that item is out of stock when you get to the store. Rolling restaurants are all the rage across the nation these days. Chances are, your city has at least one “pod” where several food trucks are located. Some even have seating, lighting and restrooms as well. For a fun new adventure on date night, skip the expensive restaurant and try a more frugal offering in a style of cuisine you have never tried before. Then, you and your partner can sit outside and dine with other community members. It will be so nice supporting a local small business owner, food pods might even become a new date night tradition! If it seems as though growing your own produce is a big deal with lots of work, it does not have to be. Raised beds, if you have the space in your yard, offer a confined garden at a working height that’s easy on the back. Or, you can grow food right in a ceramic pot right outside the back door for easy access when building a salad. It is easy and inexpensive to find vegetable plant starts at your local farmers market, and then all you need is dirt and time before you can harvest. Even simpler: Cut open the side of a bag of garden soil and plant seeds right into it. Water the soil daily and watch the fruits of your labor grow into a meal. « Should Landlords have Life Insurance?